Still working with LiveGrade Pro 3? Download LiveGrade Pro v4 now, it's a free upgrade for all subscribers. Bring Color to Your Film Set and into Your Dailies. LiveGrade Pro is the standard software for look management on set and beyond. Its complete scalability and superior integration with various camera workflows and setups have made it an integral part of TV, commercial and cinema productions. 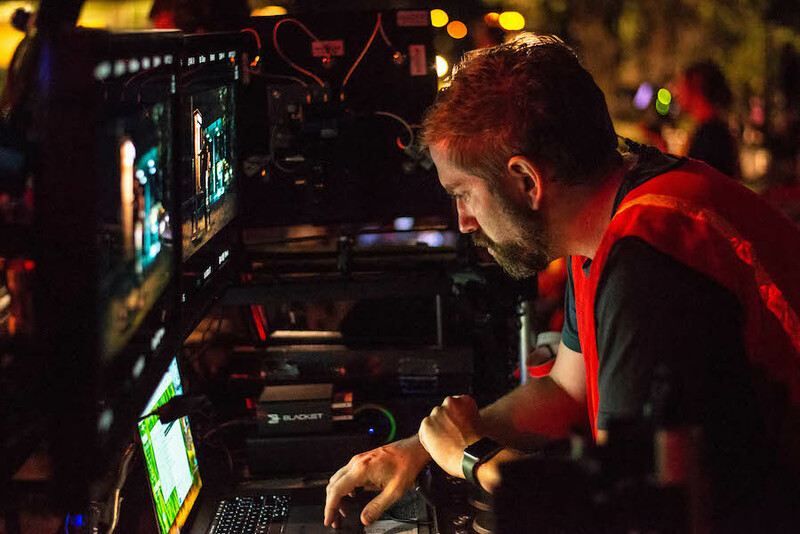 Around the globe DITs and DOPs rely on LiveGrade Pro to simplify their creative workflow and enhance on-set collaboration. Watch Our Introduction Video and Learn More About the Basic Live Grading Setup. Use the Leading Software for Look Management. When you are ready to prepare for post production, LiveGrade Pro’s abilities to export looks in various ways empower you to visually communicate the cinematographer’s and director’s intent. Make the digital look part of the creative production process from the beginning. I’ve really come to appreciate the excellent support Pomfort provides, and I wouldn’t want to give that up. Be Closer to Your Final Outcome from the Beginning. LiveGrade Pro’s ability to manage looks already from the beginning of the production process makes it easy to connect your team through a highly transparent and efficient production workflow. Having look information and camera metadata available at every point of production creates consistency across your workflow and simplifies the finishing of each production step. Make Your Color Ideas an Essential Part of Production. LiveGrade Pro is the easiest way to ensure a high level of creative control right from the start. Even under demanding budgetary and time constraints the looks from shooting can easily be communicated visually and as metadata from the set to post production facilities. 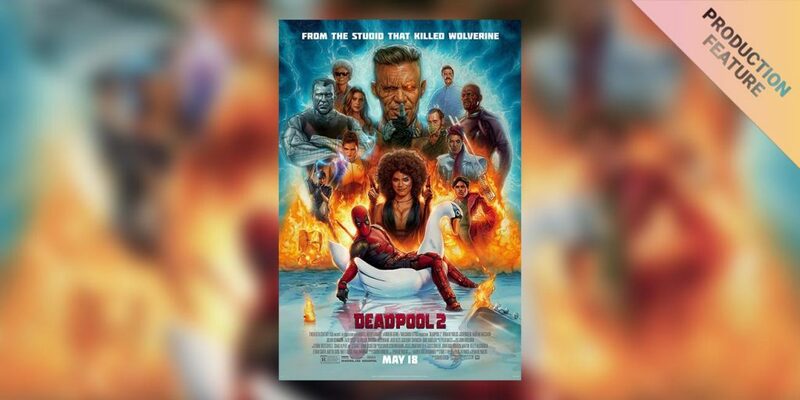 By doing so, you make sure that the look concept of the DP and director serves as the basis for the following production steps. Learn how to implement a streamlined dailies workflow with Silverstack Lab and LiveGrade Pro. Easily Manage and Share Colors and Camera Metadata. LiveGrade Pro allows you to quickly export and share colors and camera metadata. Every look you create is automatically stored together with camera metadata in LiveGrade Pro’s shot library. The library contains image references, color information and camera settings, organized by individual shots. Share all information with your production team, e.g. with 2nd Unit, by creating detailed shot reports to ensure everyone works on the same information basis. To apply your looks instantly in subsequent production steps, make use of LiveGrade Pro’s capabilities to export look information in standardized formats such as ASC-CDL and 3D-LUT files. This enables having looks wherever needed, which makes the overall production process simpler and faster. LiveGrade Pro integrates with ScopeBox. Add a variety of software emulations of classical video scopes like waveform and vectorscope to your setup. Easily transfer color metadata to Assimilate Scratch and match it to your clips. Bring your workflow even to the next level by bringing Silverstack into this setup. Stay Flexible with a Wide Range of Devices. 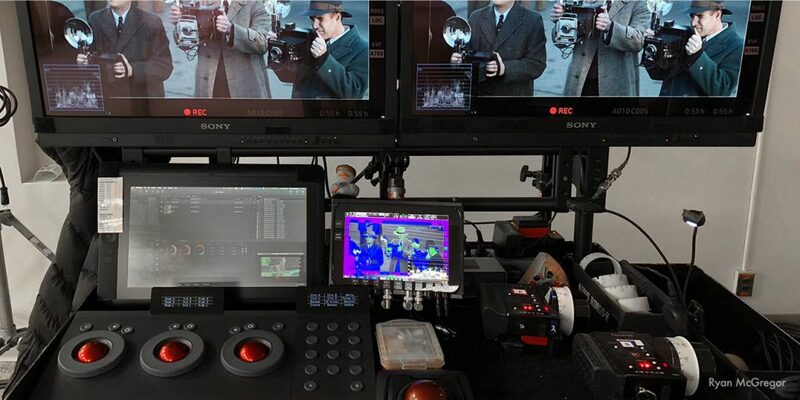 LiveGrade Pro unifies HD and UHD/4K color creation workflows by supporting a wide range of devices – from LUT box devices such as Flanders Scientific's BoxIO, Teradek's COLR, or TVLogic IS-mini** and IS-miniX (formerly WOWOW and Fujifilm), as well as cameras and monitors with color correction capabilities such as the ARRI, Sony, Panasonic, and RED cameras, the FSI DM monitors or the Canon DP-V series. Users of LiveGrade Pro can now setup video routing configurations for AJA Kumo and Blackmagic Design Smart Videohub devices – and trigger these configurations either from the application when needed, or automate them on certain events within the application such as slot changes. Capture HD-SDI live signals for live image, live camera metadata, and auto-record of multiple cameras, and play out video for live image, recorded clips, or framegrabs. You can use AJA T-TAP, AJA Io and AJA KONA devices as well as Blackmagic Design Ultrastudio, Mini Recorder and Decklink cards. You can control LiveGrade Pro with panel controllers from Tangent and Avid, and with the free app "LiveGrade Pro Remote" (works with iPhone, iPod Touch and iPad). ** For IS-mini WOWOW requires an additional device license file for use in LiveGrade Pro (per IS-mini device) that can be purchased from within LiveGrade Pro. "With LiveGrade it is easier to gain greater creative control at the highest level of quality, even under demanding budgetary constraints." "Just trying out the new LiveGrade Pro […] and I’m excited for it!" "LiveGrade [...] from Pomfort. Exciting new features. THE universal standard for DITs and live look creation." LiveGrade Pro has been awarded the coveted Red Dot for its high design quality and creative achievement. Customers Worldwide Rely on Pomfort's Cutting-Edge Technology. The most valuable proof of LiveGrade Pro's performance are our customers' projects. Looks that are created in LiveGrade Pro can be conveniently exported to our data management software Silverstack, where they can be matched with and applied to the recorded clips.